Very few people in recorded history have the distinction of being on the receiving end of a meteorite. 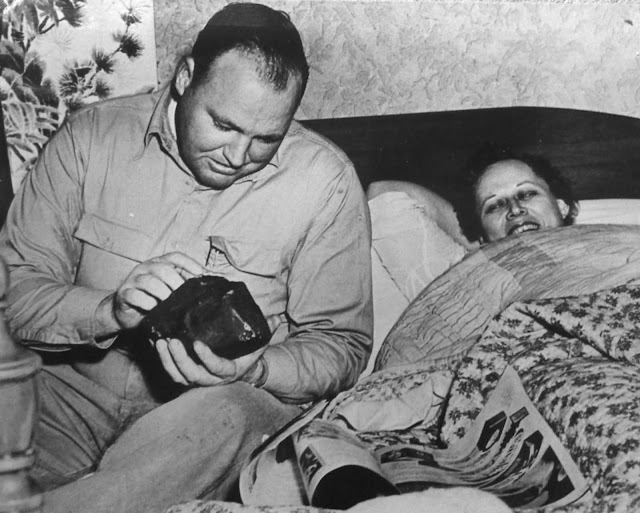 In fact, there’s only one person with proof: Anne Hodges, an Alabama woman struck by a football-sized rock from outer space.. and lived to tell the tale. You’d think only someone awfully fortunate could survive an ordeal like that, but after the meteorite hit its mark, Ann Hodges became anything but lucky. You might even say she was cursed. 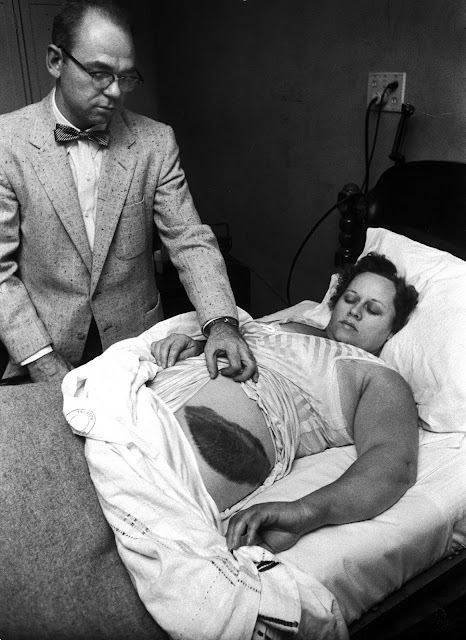 In late November of 1954, Ann Hodges was in the middle of an afternoon nap in her home in Sylacauga, Alabama, when a large rock came crashing through her ceiling, bounced off her radio, and struck her in the side, leaving a massive bruise. It had come from outer space, and the 8.5 pound meteorite was still warm to the touch. 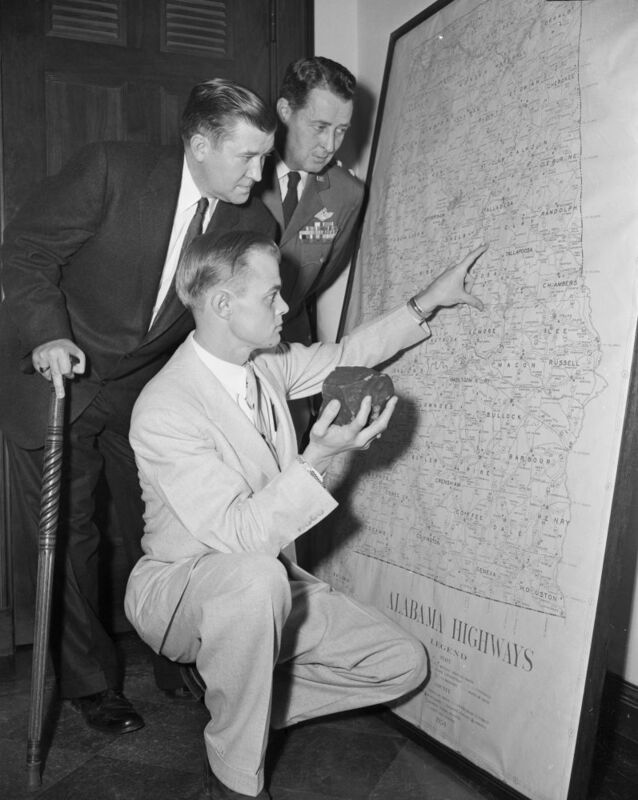 Before the meteorite slammed into Ann’s living room, people in tiny Sylacauga and across eastern Alabama had reported seeing “a bright reddish light like a Roman candle trailing smoke.” Others saw “a fireball, like a gigantic welding arc,” accompanied by tremendous explosions and a brown cloud. 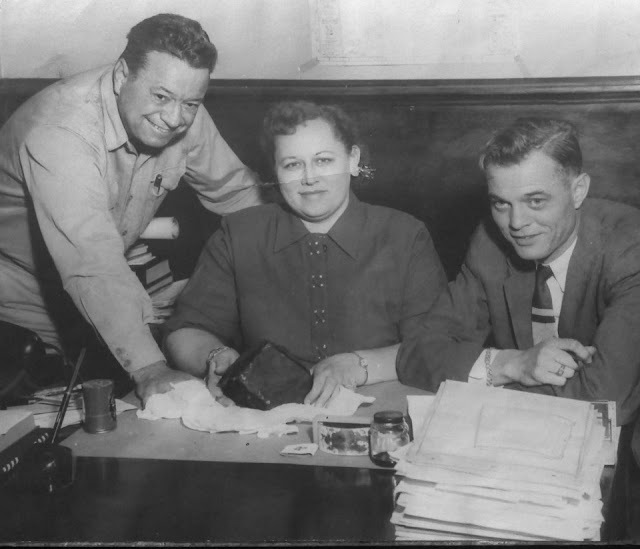 So many people flocked to Hodges’ house that when her husband, Eugene Hodges, a utility worker, returned home from work, he had to push gawkers off the porch to get inside. 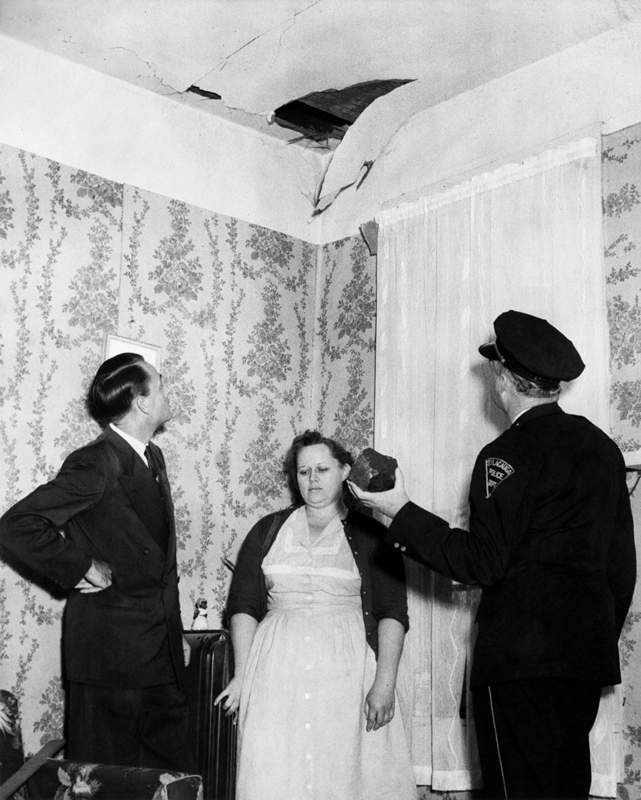 Hodges standing under the spot where the meteorite crashed through her ceiling. 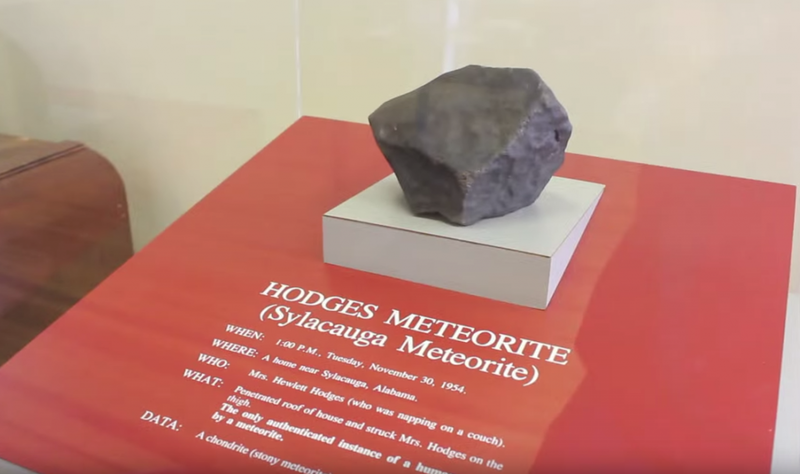 But no one bit, and so the Hodges donated the meteorite to the natural history museum in 1956, where it's still on display. The Hodges Meteorite on display at the University of Alabama’s Natural History Museum. Eugene suspects the meteorite and frenzy that followed had taken its toll on Ann. He said “she never did recover,” according to the museum.